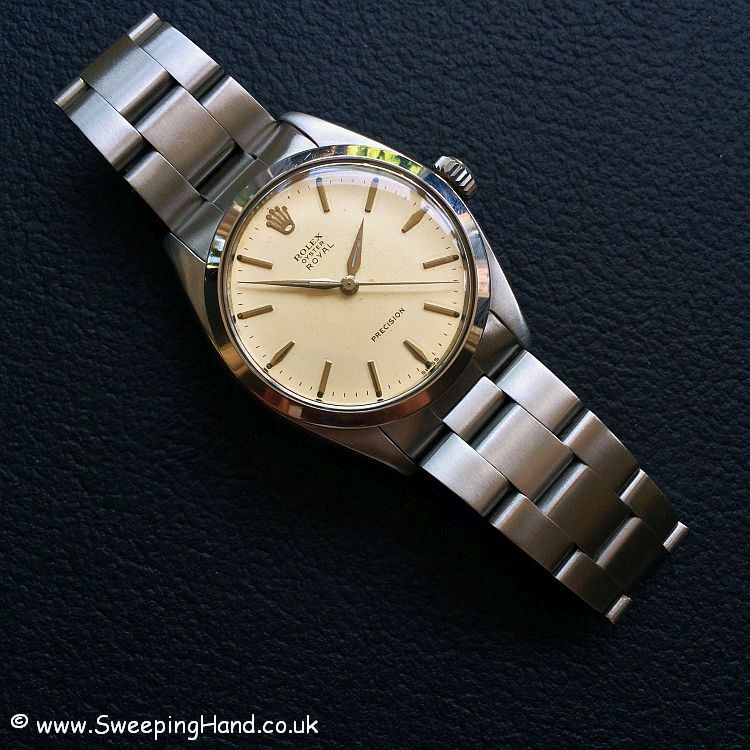 Here we have a lovely 1962 Rolex Oyster Royal. 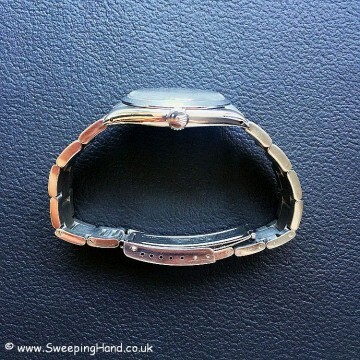 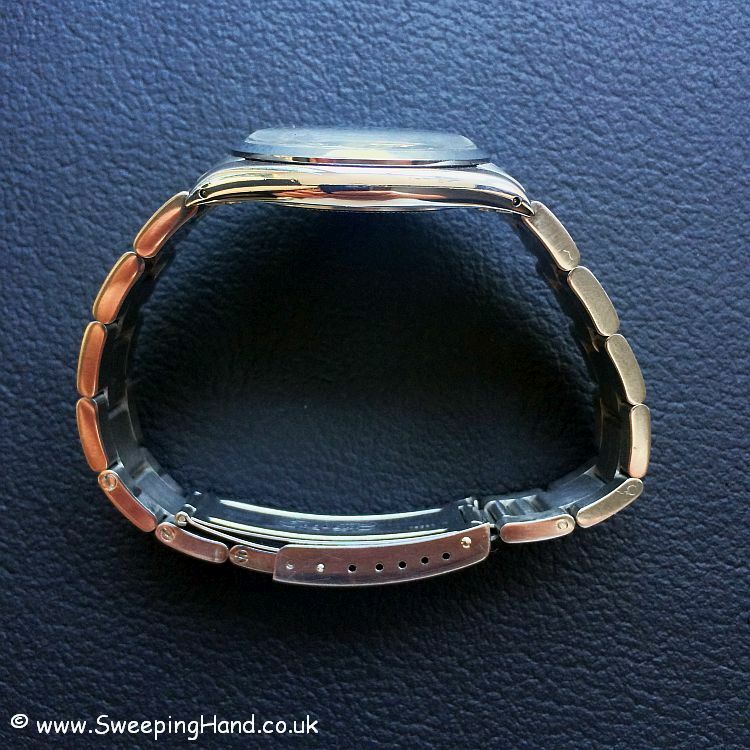 This watch has just returned from full mechanical service and spa so the case and bracelet are in excellent condition for it’s age. 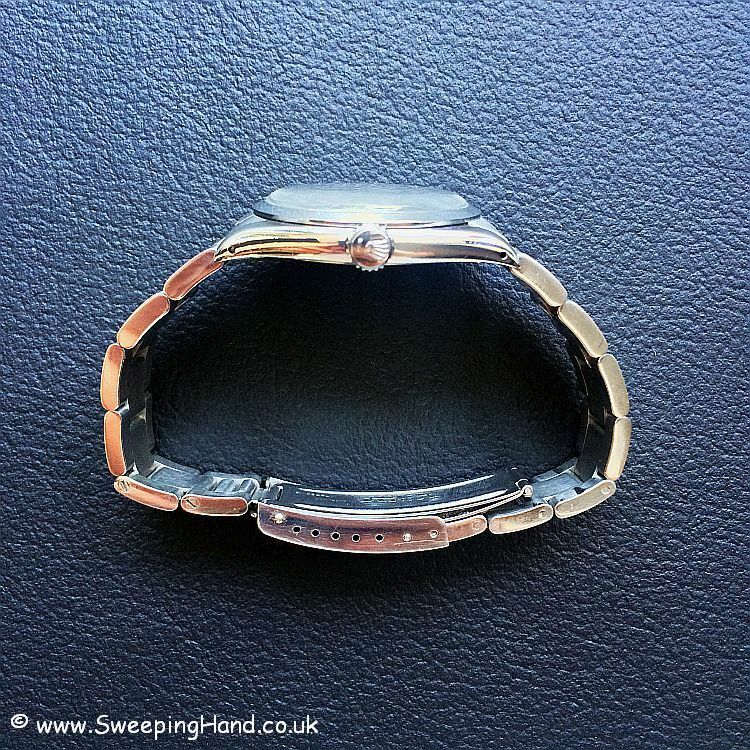 The watch features a lovely ‘Swiss’ cream dial with great patina and lovely dauphine style hands. 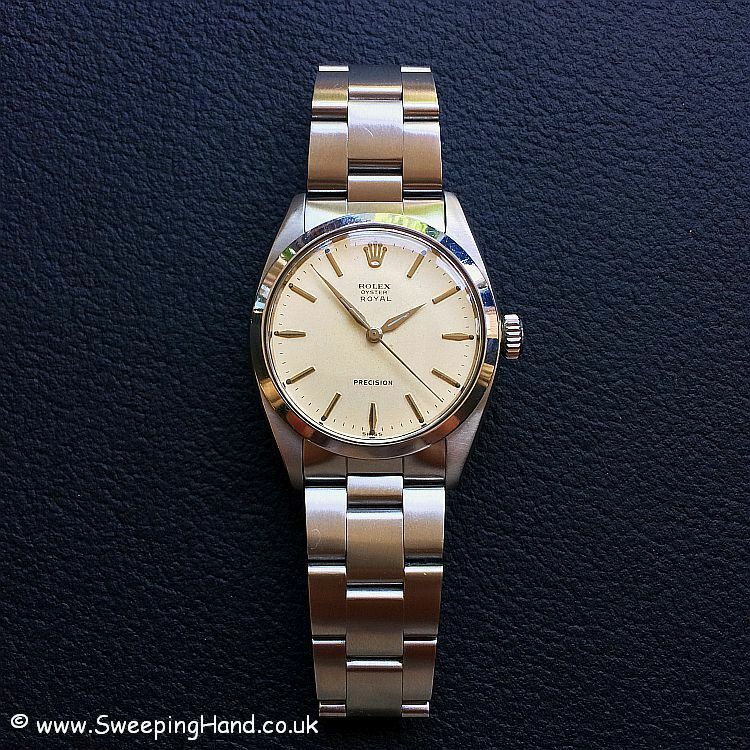 Fitted with the 17 jewel Rolex 1210 caliber manual precision movement that is keeping good time. 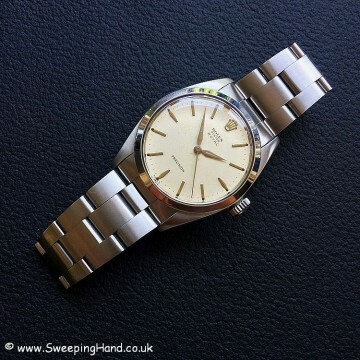 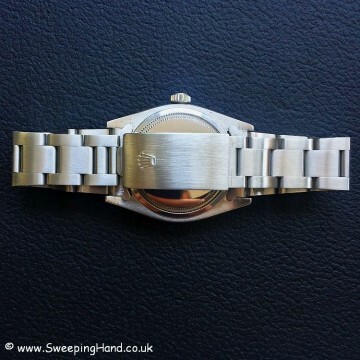 Bracelet is a Rolex Oyster 78350 which is tight with little stretch. 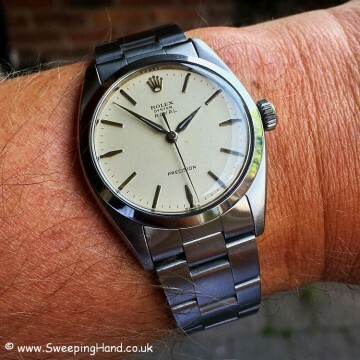 Measuring 35mm the watch has that classic Rolex vintage look without being in your face! 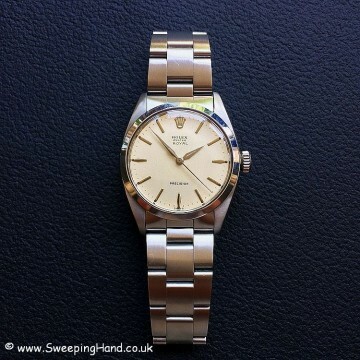 Will come in a vintage Rolex green suede carry pouch.